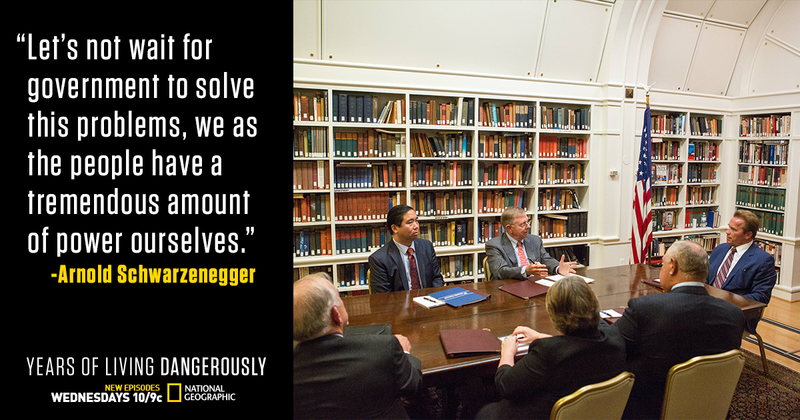 World Resources Institute, National Geographic, and Climate Nexus hosted the DC Premiere Years of Living Dangerously where Thomas Friedman, Joe Romm, Jennifer Morgan and Andrew Steer weighed in on what's needed to push climate firmly into the public discourse. 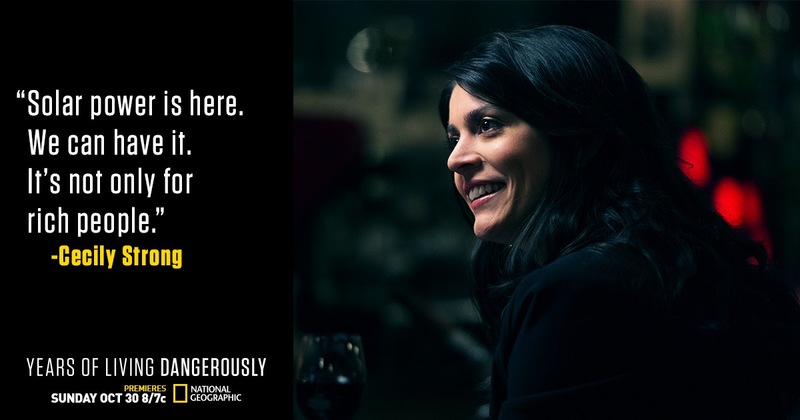 If you missed Years of Living Dangerously on National Geographic Channel, watch on Hulu, iTunes, Amazon, Google Play, or the NatGeo TV Everywhere app. The energy market has an estimated global value of $6 trillion — a number that could be greatly affected by an increase in renewable sources, especially solar. David Letterman and Cecily Strong explore the impact of solar energy in two vastly different parts of the world. 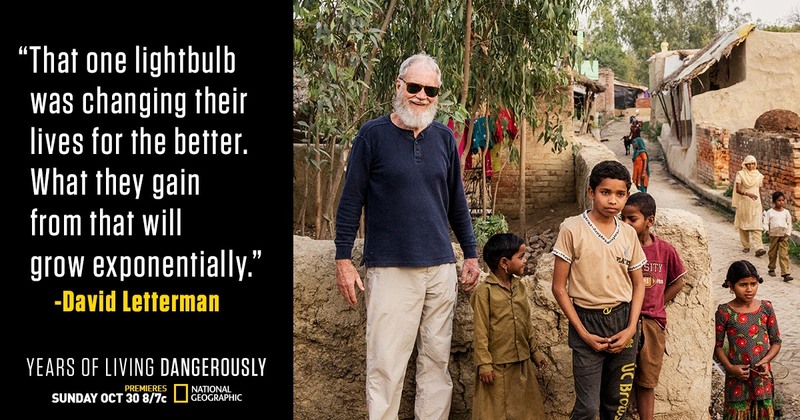 David Letterman’s Story - "Into the Light"
Letterman travels to India to find out what the world’s soon-to-be most populous country is going to do to expand its inadequate energy grid, power its booming economy and bring basic electricity to 300 million citizens who have never plugged in. The Indian government has committed to one of the most ambitious renewable energy plans on Earth, while also pledging to double the amount of dirty coal the country already burns. Letterman interviews the prime minister, travels to rural villages where power is a luxury few can afford and finds out why the U.S. may play a key role in India’s energy future. Cecily Strong’s Story - "Blocking The Sun"
What’s holding back the massive deployment of renewables like solar energy in the U.S.? It’s hard to imagine a more critical question facing the planet. To find some answers, “Saturday Night Live” cast member Cecily Strong travels to Florida and Nevada, two sunny states where the future of solar is being decided by obscure public utilities commissions. Strong gets the real story from former industry insiders and a retired commissioner now willing to tell their stories. She learns that powerful forces are flexing their muscles behind the scenes to block solar’s growth — jeopardizing thousands of jobs and the future of clean energy. Jack Black’s Story - "Saving Miami"
If nothing is done to curb carbon emissions, the glamorous and iconic city of Miami is in danger of being underwater by the end of the century. 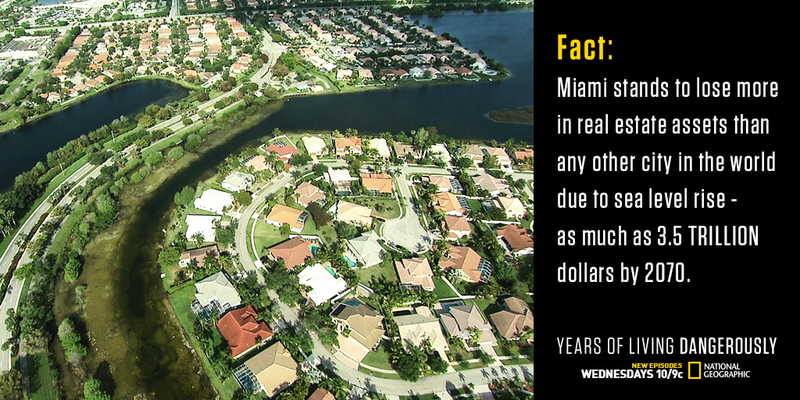 Jack Black journeys to Miami to find out if the city and other low-lying coastal areas can survive rising seas. He finds a political and business community in denial and talks to a few lone legislators, residents, activists and scientists trying to do something before it is too late. Can Miami be saved? Ian Somerhalder’s Story - "Storms of the Future"
Hurricane Sandy was called the perfect storm — the kind of freak mega-disaster that no one could have predicted. But it turns out that Sandy is small potatoes compared to the storms that are coming our way, and soon. Ian Somerhalder visits Woods Hole Oceanographic Institute in the Bahamas on an ocean voyage to find out why we’re in for storms unlike anything modern civilization has ever seen. 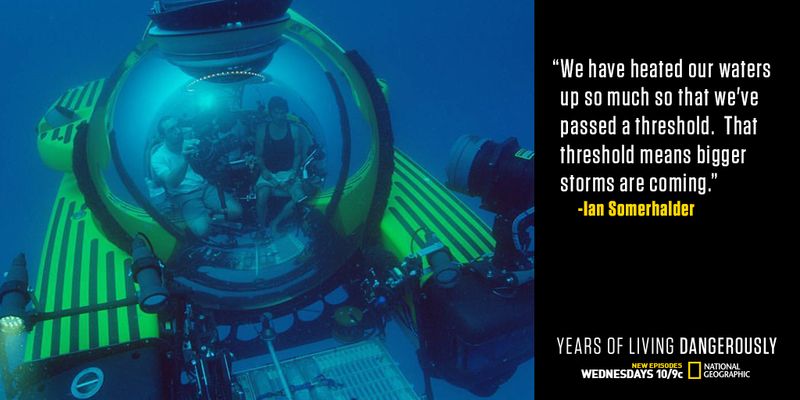 He joins scientists deep underwater as he learns how history might repeat itself, as climate change is causing the ocean to warm, leading to storms of potentially biblical proportions. Tom Friedman’s Story - "Out of Africa"
Over the next century, experts estimate climate change will force anywhere from 500 million to 1 billion people from their homes through sea-level rise, natural disasters and destroyed livelihoods. More than 100,000 from Africa and the Middle East — quadruple the number from 2013 — made it to Europe this year alone. Are some of these people “climate refugees”? 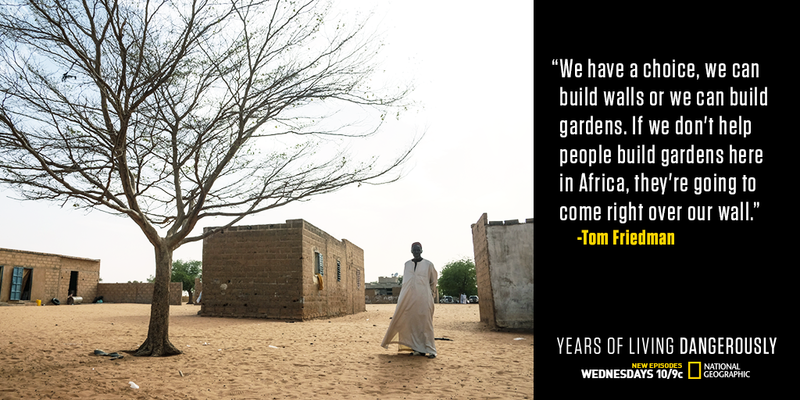 New York Times columnist Tom Friedman travels from the COP21 climate conference in Paris to the Sahel region of a parched, war-torn Africa to investigate this new wave and see what the future may bring. Don Cheadle’s Story - "Death of the Central Valley"
California’s worst drought in 1,200 years is devastating the nation’s most populous state and the world’s seventh-largest economy. 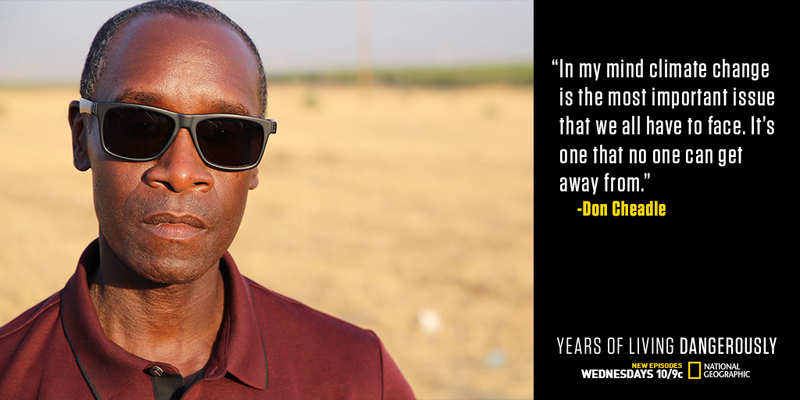 As global temperatures rise, actor Don Cheadle learns these droughts will become the new norm. Cheadle also investigates how Gov. Jerry Brown’s administration is fighting the drought — while also fighting climate change. And along the way, Cheadle meets a scientist who warns of a global water and food crisis as well as a family of farmers whose lives may never be the same as they struggle to find water in the parched Central Valley. In a 2015 report, the Department of Defense called climate change one of the biggest threats to our national security. So, how is the U.S. military dealing with the threat of climate change? Action hero, politician, climate crusader and Years of Living Dangerously executive producer Arnold Schwarzenegger embarks on a journey to explore the military’s relationship with a changing climate. He investigates how our armed forces are dealing with an increasing number of climate-related disasters and conflicts and how the military is working to reduce its own carbon footprint. Schwarzenegger travels to Kuwait — where more than 3,000 soldiers have been killed or injured since 9/11 — to visit soldiers and travel in a fuel convoy. He learns how serious a threat the military perceives climate change to be, talks to top-level military leaders and meets the brave men and women on the front lines dealing with climate change threats and disasters. The battle to save the Amazon in Brazil — the “lungs of the planet” — is the ultimate race against time. There are ever-increasing threats from drought, deforestation, massive hydroelectric dams and illegal mining. Forest clearing and degradation account for 15 percent of global greenhouse gas emissions — more than all the cars, trains, planes, ships and trucks on Earth. Brazil still ranks first in the world in land area deforestation: nearly 2 million acres a year. And countrywide, more than 50 percent of Brazil’s deforestation occurs as a consequence of cattle ranching. Is there a better way to save the forest and farm cattle? Gisele Bündchen travels to her home country and to the Amazon to see the extent of the damage. Her investigation brings her face to face with the politicians, activists and indigenous people trying to protect the rainforest for all of us. Learn more: Choose or Lose: Why Gisele and I Are Shifting to a Sustainable Diet. In an episode of Years of Living Dangerously, Gisele Bündchen and Andrew Steer reveal that producing meat and dairy makes up almost 85 percent of the greenhouse gas emissions from the American diet. Shifting to more plant-based foods can make a big impact. Joshua Jackson travels to the Philippines and Australia’s Great Barrier Reef to investigate the impacts of climate change on our world’s oceans and the millions of people who rely on the ecosystems for their livelihood. There is one place on Earth where the impacts of climate change are most profound and yet practically invisible: the oceans. As global emissions soar, the oceans are becoming warmer and more acidic, creating unbearable living conditions for all marine life and threatening precious ecosystems. 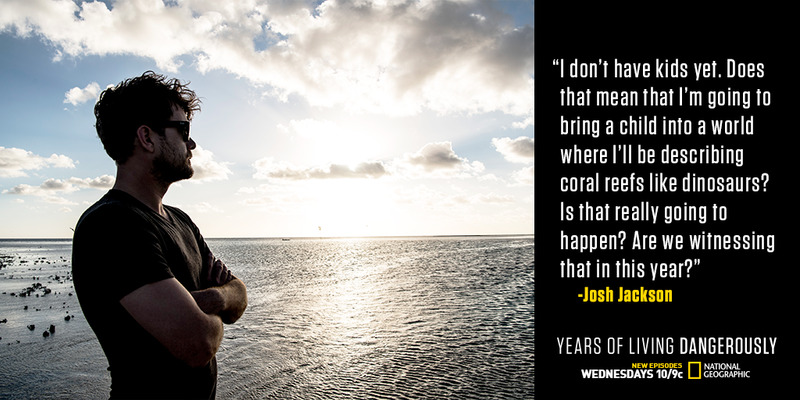 Joshua Jackson travels to Australia's Great Barrier Reef to look at the devastating impacts of ocean warming on the world’s largest reef system and the predicted impact of ocean acidification. In the Philippines, he looks at the impact of climate change in a place where hundreds of millions of people rely on healthy reefs for food, income and protection from storms. Oceans, which cover 70 percent of the world, are crucial to our species’ survival. What will happen if our life-support system is disrupted? Without healthy oceans, we have everything to lose. 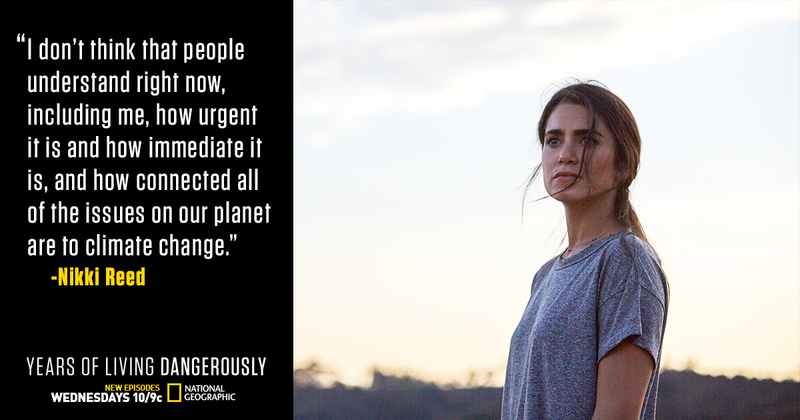 Actress and activist Nikki Reed explores what some believe to be the ultimate solution for climate change: putting a price on carbon. Correspondent Aasif Mandvi sets off on a quest to understand just how much of a threat climate change poses to endangered species. Since the industrial revolution, massive amounts of carbon have been pumped into the atmosphere, uncurbed, uncontrolled, all in the name of progress. But the cost of progress has been high, and the effects of climate change have made the need for a solution more apparent than ever. Actress Nikki Reed follows one group of college students who think they’ve found that solution: putting a price on carbon. Making polluters pay, they tell her, will reduce harmful emissions and force cleaner energy onto the market. Reed looks at the price of inaction, examining the steep cost of climate change-related disasters — events that can be avoided. And she looks at a country that has successfully adopted carbon pricing — seeing an economy not ground to a halt but thrive with new and exciting industry. From grassroots rallies to a face-off with their college president, and onward to the true corridors of power, this ambitious group of students knows that without action, they have everything to lose. Animal species around the world are disappearing at an alarming rate, and climate change is only worsening the trend — scientists have found that warming temperatures are accelerating species loss. 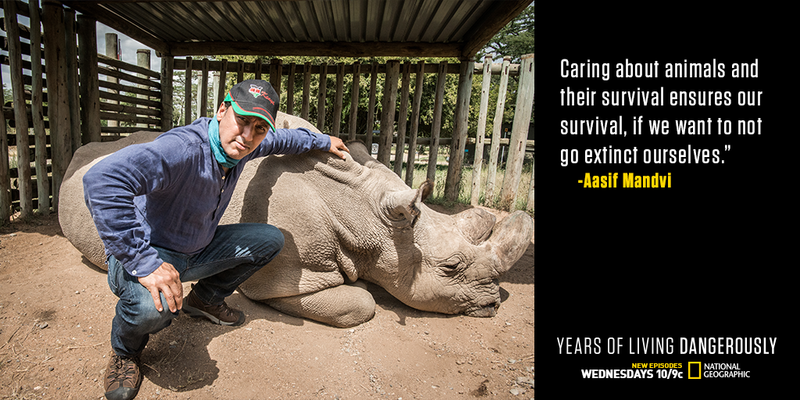 Aasif Mandvi sets off on a quest to understand just how much of a threat climate change poses to endangered species. He travels to Africa’s wildlife preserves to meet the people on the front lines of conservation efforts, discovering that increased drought and irregular rainfall are compounding threats like poaching and loss of habitat. As humans and wildlife are forced to compete for increasingly scarce land and water resources, Africa’s iconic large mammals suffer. Along the way, Mandvi learns about the interconnectedness of nature, and how the disappearance of a single species can have unpredictable negative consequences on the ecosystem it evolves in. It’s only a matter of time before the ripple effects reach all of us. Actor Ty Burrell takes to the road to see the environmental revolutions being made in electric and automated vehicles. 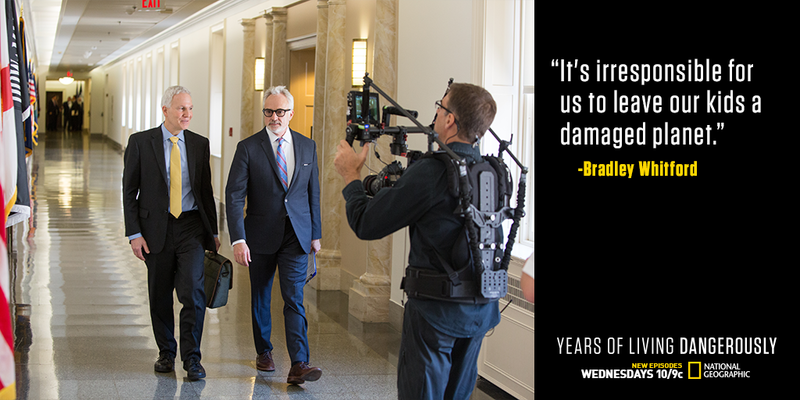 Bradley Whitford travels to Capitol Hill to explore the growing movement to get Republicans to admit that climate change is real and commit to doing something about it. Almost one-fifth of all carbon emissions in the world come from the transportation sector. Right now, we’re on the verge of an absolutely crucial opportunity to drastically reduce cars’ carbon footprint through electric vehicles (EVs) and automated vehicles (AVs). 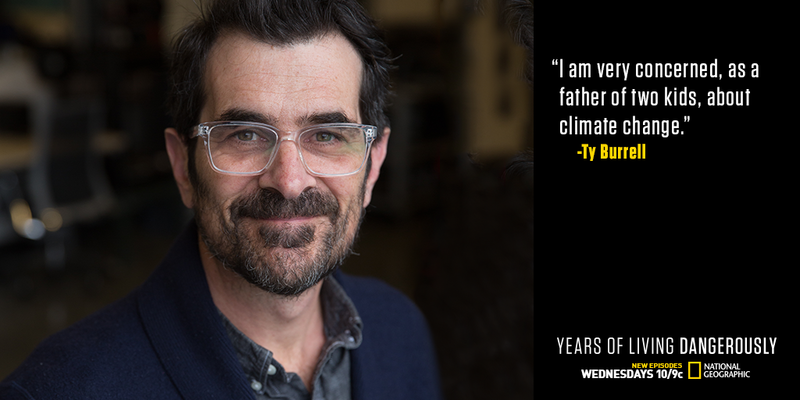 Actor Ty Burrell takes to the road to see the environmental revolutions being made by both EVs and AVs. Burrell visits Silicon Valley to learn about AV advancements and hear how big automakers are pouring major capital into AV technology. In Atlanta, where some of the country’s most generous EV incentives were recently killed, Burrell makes a visit to see the effects and hear firsthand from EV advocates. And in Los Angeles, he visits an EV car show and gains perspective from buyers, dealers and experts. In the battle over climate change, the 2016 presidential election may go down as the most consequential. The GOP’s leading presidential candidates repeatedly said they don’t believe in man-made climate change. What very few people know is that behind the scenes, a growing movement to get Republicans to admit that climate change is real and commit to do something about it is in the works. Bradley Whitford tells the story of Jay Butera, who has spent the past 10 years traveling to Capitol Hill on his own dime to lobby Republicans on climate. For Butera, it’s not about brow-beating these lawmakers with facts; it’s providing solutions they can get behind in order to forge a bipartisan majority to act. Talking is the only way out of the deadlock, and it’s beginning to work. The year 2016 may be when the Republican narrative on climate begins to change. Whitford follows Butera and some of the members of Congress he’s convinced, to see if this movement can be sustained. 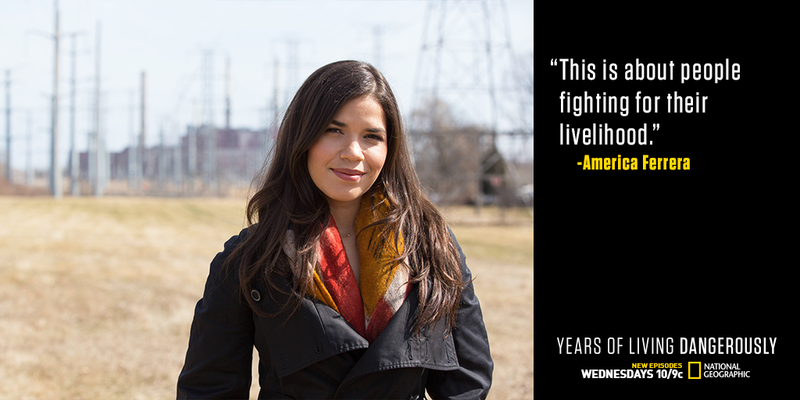 America Ferrera journeys to Illinois to shed light on the U.S.’ controversial dependence on coal plants that emit climate-altering carbon dioxide but still remain a major source of energy. Sigourney Weaver explores China’s explosive economic growth and the impact it is having on the environment not just locally but on a massive global scale. While some coal plants are shutting down across the country, coal still remains a major source of energy, and burning it emits toxic pollutants and climate-altering carbon dioxide. One of those plants still functioning is in Waukegan, Illinois, where it employs about a hundred people and provides $1 million a year to this struggling city north of Chicago on Lake Michigan. A band of local activists, in part backed by the Sierra Club’s Beyond Coal Campaign (funded by former New York City Mayor Michael Bloomberg) are waging a battle to shut down the plant. America Ferrera journeys to Waukegan to see how the campaign is doing, and she talks to those who want to close the plant and those — like the local mayor — who want to keep it open, even as residents claim the plant is making them sick. In the past few decades, China has experienced explosive economic growth, but its success has come at a cost, as fossil fuels like coal have provided the energy and materials needed to feed the world’s demand for Chinese exports. The result has been air pollution that chokes many of China’s major cities and a burgeoning middle class that desires blue sky and clean air. Now, pressured from the bottom by activists and civil society, China is investing more money in clean energy (solar, wind and nuclear) than any other country on the planet. 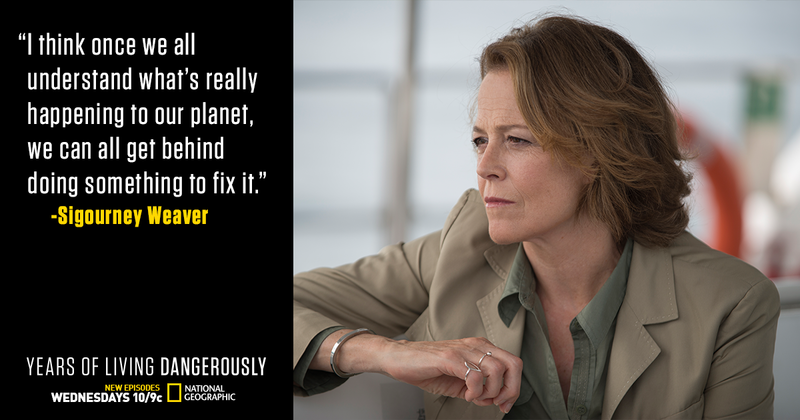 Sigourney Weaver visits Hong Kong and China to see whether the world’s biggest polluter is fulfilling promises to reduce emissions, even as its population and industry continue to grow. Broadcast every Wednesday night at 10/9c on the National Geographic Channel. Episodes also available on Hulu, iTunes, Amazon, Google Play, or the NatGeo TV Everywhere app.